Travelling across Canada is on the bucket list of many a wannabe RVer. So what separates wishful thinkers from those who actually go out and do it? 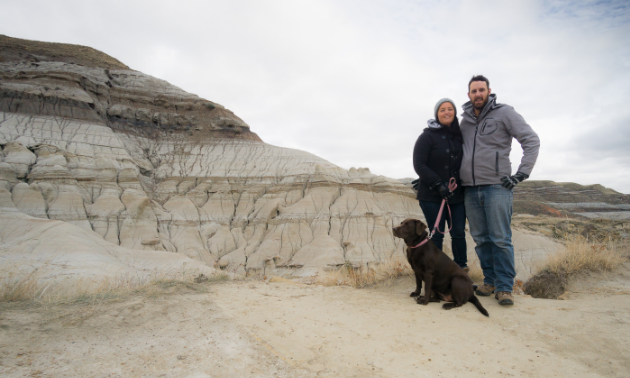 RVing across Canada wasn’t always something the couple set out to do. The notion of RVing full time came about after they were both laid off from their radio broadcasting jobs on the same day. Prior to the trip, the Ontario natives had explored the Maritimes but never ventured west of their home province’s border. McCallum and Doolittle had two furry companions along for their trip from the Atlantic to the Pacific. Chocolate lab dog, Bella, and calico cat, Paris Frances, hung out in the back seat of the truck during travel days with Bella resting on the seat and Paris Frances hiding out underneath. “We were worried that the cat would mess throughout the trip but she never did,” said McCallum. “We think this is because we left her loose in the truck to wander if she wanted to and she wasn’t confined to a cat carrier. The days we travelled, we drove four to eight hours a day. Once we arrived, she went into the RV and used her cat box, if necessary. To make the trip financially viable, McCallum and Doolittle opted to workamp. Workamping is offering services (usually 20 hours per week) in exchange for a full-hookup RV site. McCallum and Doolittle started their cross-Canada adventure by workamping at an RV park on Prince Edward Island. From the east coast, they crossed Canada while chronicling their exploits on their blog, Full Time Canada. 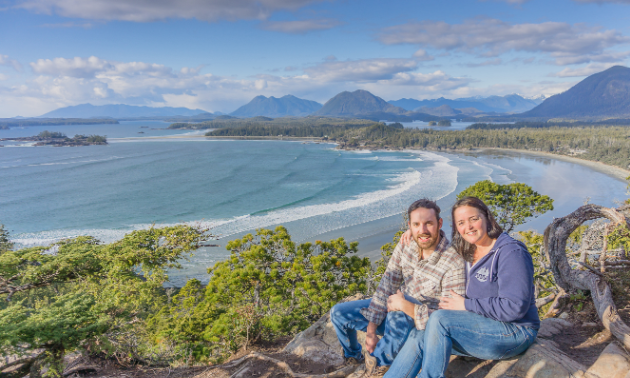 When the couple made it to the west coast, they found themselves on Vancouver Island in Tofino, B.C. McCallum and Doolittle currently reside at Crystal Cove Beach Resort, where they’ve started up their own business, Tofino Food Tours. As such, their blogging has slowed down due to a busier schedule, but they still maintain it and are always looking for contributors who are willing to promote the RV lifestyle and travels around Canada. 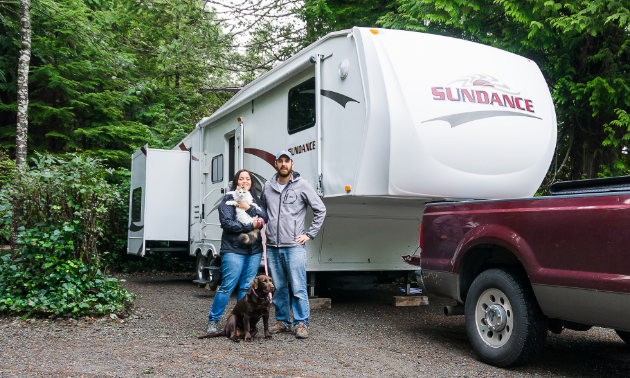 Here are McCallum’s 5 Helpful hints to know before you go RVing for the first time. 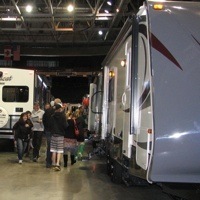 RV shows are a good resource for information on the RV lifestyle. 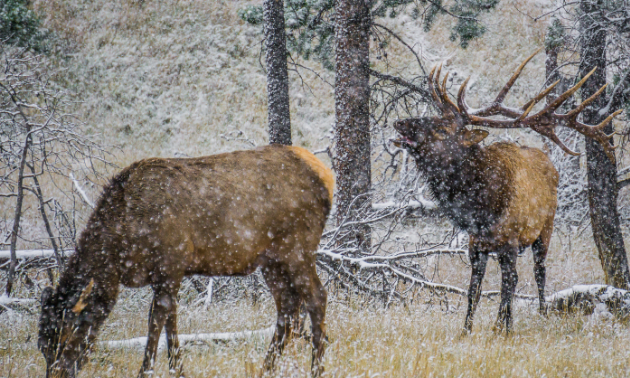 Here's a checklist for taking the RV out of hibernation, plus a reminder that springtime planning makes for a great summer of camping. 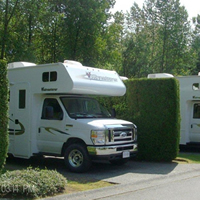 Burnaby Cariboo RV Park (BCRV) is a deluxe RV Park for sightseeing the Vancouver, B.C., area.